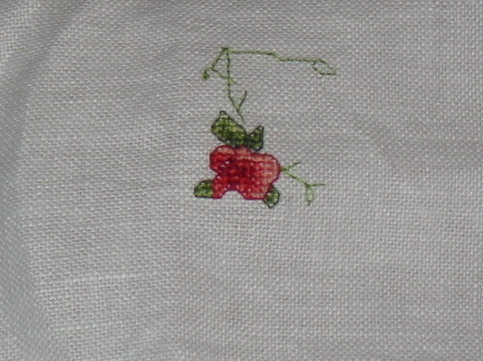 Day 14 – I chose to start a project that I am stitching as a gift for my sister. It is called Sister by Gail Bussi from a past issue of Just Cross Stitch Magazine. It is a colorful and delicate alphabet and it is going to be fun to stitch.